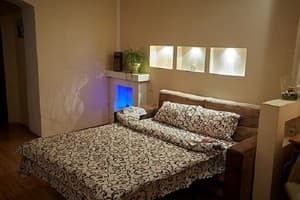 Studio apartment "Babylon Apartments on Symona Petlyury" is located in the historical part of the city. The interior is made in a Scandinavian style. Berths in the apartment are provided in the form of folding sofa with an orthopedic mattress. Bathroom undeveloped bathroom. Throughout the territory of the apartment free access to Wi-Fi internet at a speed of 20 MB / sec. 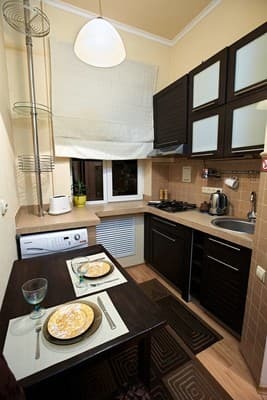 The apartment is equipped with a kitchen to living can prepare their own meals. Nearby there are grocery stores, a pizzeria, restaurant. For the comfort of guests provided persistent water. In the courtyard there is a place for parking. For travel in the apartment "Babylon Apartments on Symona Petlyury" provide a full package of accounting documents. 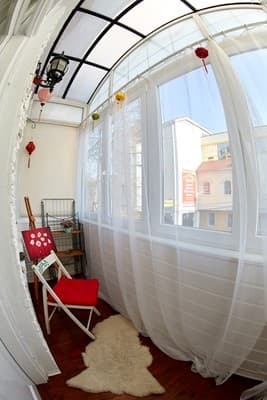 Description of the room: The apartment is comfortable for 2 people. The apartment is equipped with a kitchen to living can prepare their own meals. Nearby there are grocery stores, a pizzeria, restaurant. 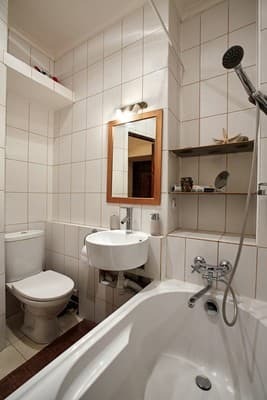 Apartment "Babylon Apartments on Symona Petlyury" is located 900 meters from the train station, 2.9 km from the bus station.